With over 30 years of experience serving, NRI knows how to quickly diagnose and solve problems with your heating, air conditioning, electrical, and hvac system. 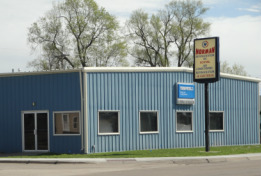 They have literally worked in thousands of homes and businesses across North Platte and surrounding areas. If one of your system is malfunctioning or reaching the end of its life or you are building a new home or office, you can trust NRI to accurately provide the most effective solution to meet your needs. Contact NRI and let us know how we can help you today.